As of last week, the grocery store construction moves forward and is still on schedule to be complete by the end of December 2018. Also, the official public store opening date has not yet been announced but will be communicated and advertised once construction moves closer to completion. 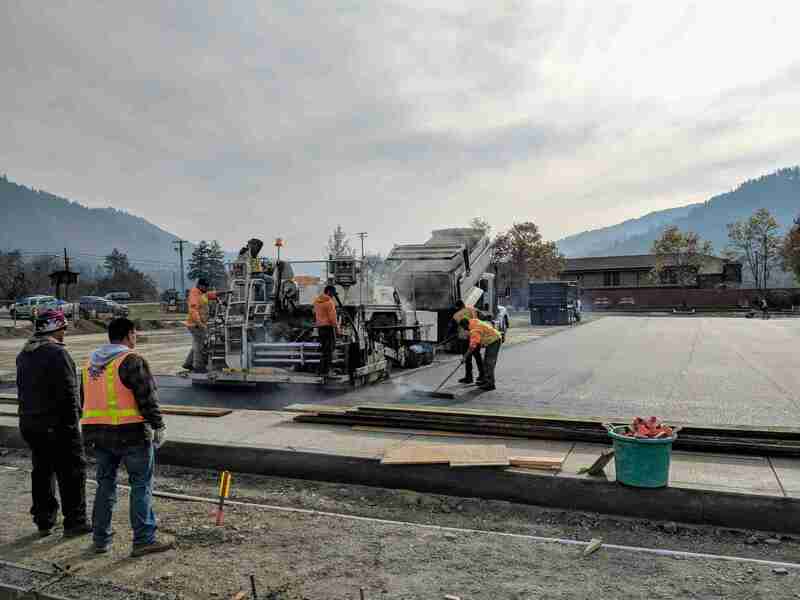 Speaking on operations, the Hoopa Valley Tribal Administration is continuing to finalize agreements with all necessary suppliers; many of our suppliers are excited about the Hoopa Shopping Center’s opening, and cannot wait to stock the store. 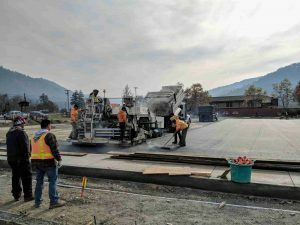 In greater construction detail, the first phase of the parking lot pavement is complete, and immediate preparations for the second phase are in progress. Concerning the interior of the building, the painting and installation of the new flooring will commence next week. Lastly, among other final construction details, refrigeration remains on schedule to be fully implemented before the end of December 2018. We much appreciate everyone who attended the Hoopa Shopping Center job fair earlier this month. Accordingly, there are still job positions open for those interested. If anyone has job-based questions or would like more information about available grocery store jobs, please contact Tribal Human Resources at 530-625-9200.